Human rights offer a vision of international justice that today’s idealistic millions hold dear. Yet the very concept on which the movement is based became familiar only a few decades ago when it profoundly reshaped our hopes for an improved humanity. In this pioneering book, Samuel Moyn elevates that extraordinary transformation to center stage and asks what it reveals about the ideal’s troubled present and uncertain future. For some, human rights stretch back to the dawn of Western civilization, the age of the American and French Revolutions, or the post–World War II moment when the Universal Declaration of Human Rights was framed. 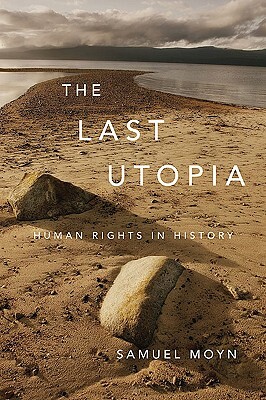 Revisiting these episodes in a dramatic tour of humanity’s moral history, The Last Utopia shows that it was in the decade after 1968 that human rights began to make sense to broad communities of people as the proper cause of justice. Across eastern and western Europe, as well as throughout the United States and Latin America, human rights crystallized in a few short years as social activism and political rhetoric moved it from the hallways of the United Nations to the global forefront. It was on the ruins of earlier political utopias, Moyn argues, that human rights achieved contemporary prominence. The morality of individual rights substituted for the soiled political dreams of revolutionary communism and nationalism as international law became an alternative to popular struggle and bloody violence. But as the ideal of human rights enters into rival political agendas, it requires more vigilance and scrutiny than when it became the watchword of our hopes.